Michael R. Puhl, a certified mediator, is a 1982 graduate of The John Marshall Law School in Chicago. 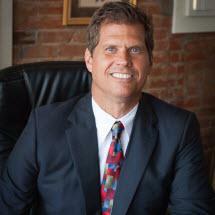 He is licensed to practice law in Texas and Illinois and before the United States Supreme Court. He is an active member of state and local bar associations and former president of the Plano Bar Association. In 2006 he was appointed by Governor Rick Perry to the Texas Board of Examiners for Marital & Family Therapists where he serves as chairman of its Rules Committee. He is also the Texas State Delegate in 2006 and 2007 to the national conference of the Association of Marital and Family Therapy Regulatory Boards and the National Council on Licensure, Enforcement and Regulation. He is a member of the McKinney Economic Development Corporation. Michael has long been active in education, presently serving as a board trustee for the McKinney Independent School District. In the past he has been chairman of the Plano Independent School District Lawyer-Youth Mentoring Program and chairman of the Allen, Frisco and McKinney High Schools "Now You Are 18" education program. He has been honored as a Collin County Bench/Bar Foundation Fellow and in 2000 was accepted as a life member of the National Registry of Who's Who.